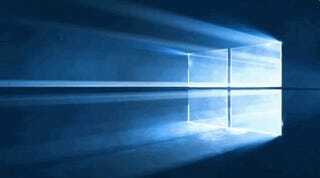 Microsoft released Windows 10 in the summer of 2015, but unlike previous versions of the operating system, it was meant to be the “final” version of Windows, updated into perpetuity. Now, the company is preparing its first major update available to everyone on August 2. We spent a few days messing around with all the new stuff in the final update, officially dubbed Windows 10's Anniversary Update. Although it’s not a wholesale overhaul, it definitely brings along a few new tricks you’re going to want. Here are five of the best new features. 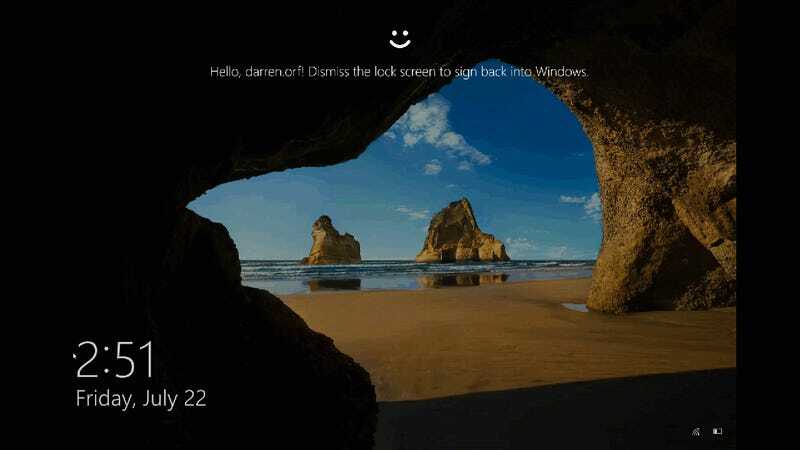 With Windows 10, Microsoft introduced a new way of logging into your laptop—your face. It’s arguably one of Windows 10’s neatest features (even if most laptops can’t use it). With the Anniversary Update, Microsoft is extending its capabilities by letting you log into certain Windows apps as well. Currently, the feature is restricted to only a handful, like Dropbox and iHeartRadio, but Microsoft says more are coming. You can also use this feature on the web, but it only works with Microsoft’s Edge browser, which itself is not great. Regardless, Microsoft clearly believes that the future of computer security involves your own beautiful mug shot. 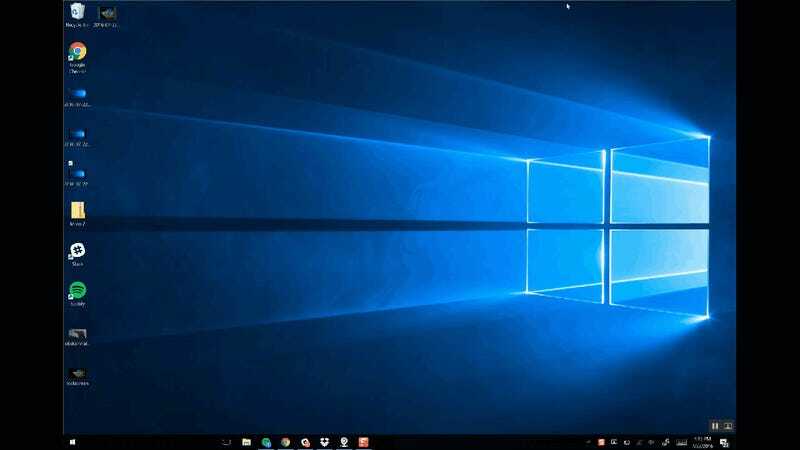 Windows 10 was the first major operating system to add virtual assistant to the desktop. A year later, Apple is finally doing the same. 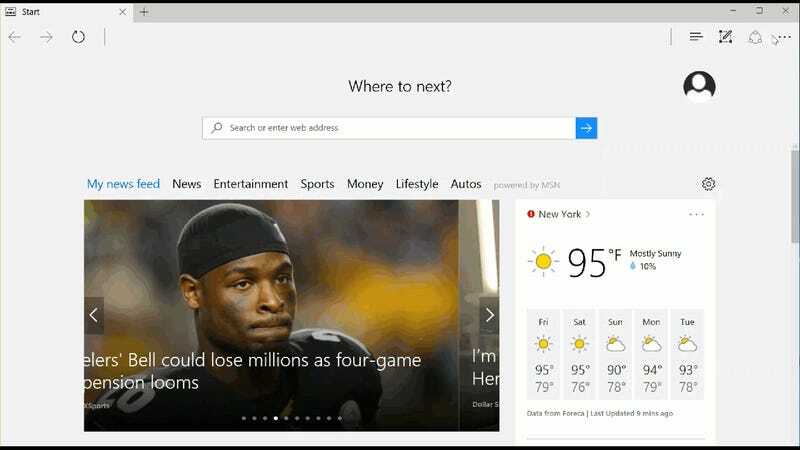 With the Anniversary Update, Cortana gets even better. For example (above), you can ask Cortana for directions, and she’ll automatically plot the most efficient route, much like she can already. Only now, she can speak with the Cortana app, available on iOS and Android, and push those directions directly to your phone. 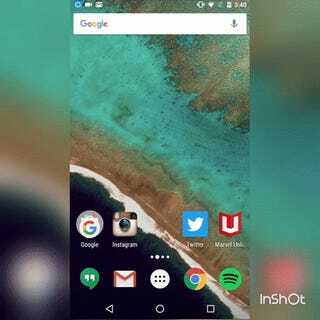 You can also receive texts and phone calls directly on your Windows laptop if you use Android, and you can store information like Frequent Flier numbers and Cortana can recall it whenever you need it. Every morning, I wake up and ask Siri what the weather is going to be on my iPad. But it can be an annoying process. Siri has to be plugged into power, and you have to almost scream for her to understand you. Cortana pulls this off much more effortlessly now that she is directly located on the lockscreen. So if your laptop is open, and isn’t even plugged into power, you can ask Cortana the weather, to play music, and set reminders. You can also allow permissions for more sensitive information, like reading back messages. Along with improved Windows Hello, the Windows 10 lockscreen is getting pretty damn impressive. The biggest “new” thing about the Anniversary Update is the Windows Ink platform. Before when you’d tap your stylus, it would summon one pre-set app (OneNote by default). Now, it pulls up an entire pen-enabled panel, with access to sticky notes, sketchbook, and screen capture. It also is a quick shortcut to recently used apps and also has an pen-enabled app suggestions, so you can slowly grow your pen’s capabilities. Apps like sticky notes are also intelligent. If you write, “meeting at 5:30pm” it will schedule the meeting with whatever calendar app you have set as a default. Although the Edge browser has its strong points, it is still missing some big features when compared with Mozilla Firefox and Google Chrome. But with Anniversary Update, Microsoft is gaining at least one must-have utility—extensions. Now, you can head over to Edge’s settings menu, click Extensions, and choose from curated store of content with extensions like Adblock Plus, Lastpass, Pocket, and Microsoft Translate. It’s likely not enough to graduate Edge from being just the browser you use to download Chrome, but it’s starting to shape up into some real competition. Windows Update is a lot of small tweaks, but overall Windows 10 Anniversary Update doubles down on what makes Windows different. It shows PCs are far from dead, and that in fact, there is lots of room to grow. 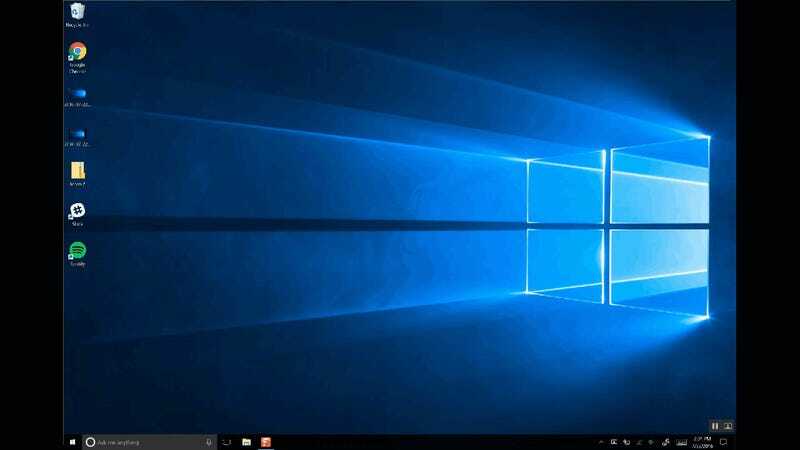 Microsoft will release the Windows 10 Anniversary Update on August 2nd and is completely free to current Windows 10 users. 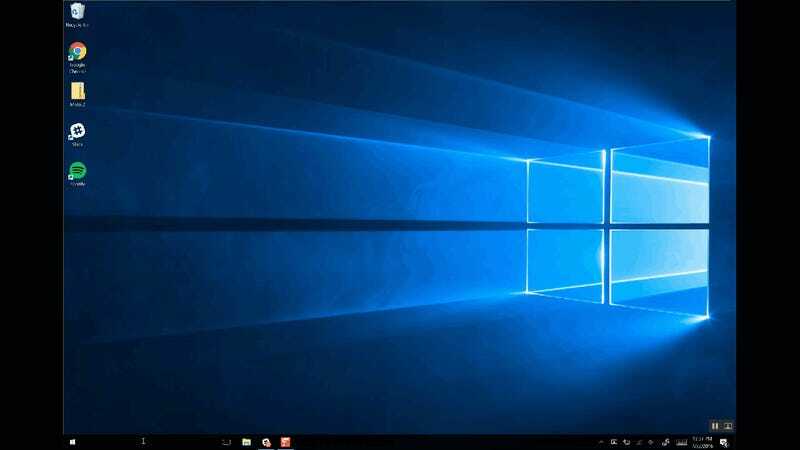 Starting July 30th, Microsoft will raise the price of Windows 10 from $0 to $120. Best get in on all that free action before it’s too late.